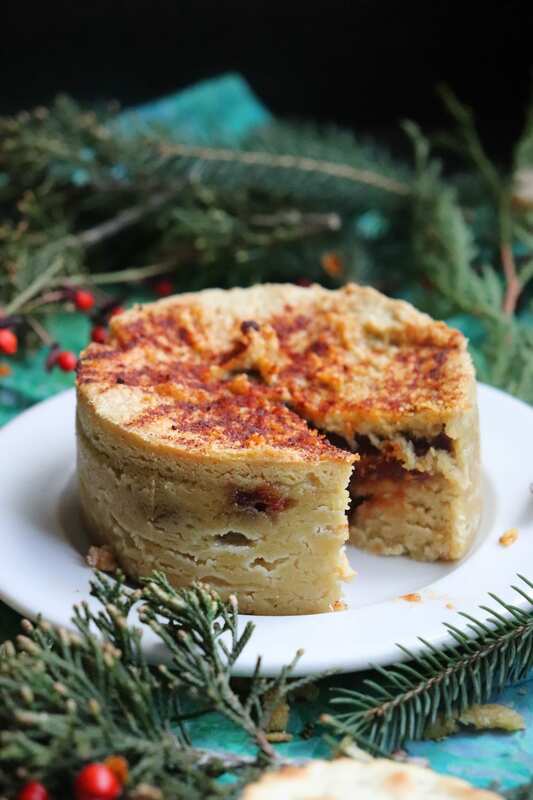 It’s the time of the year when everyone is looking for delicious vegan holiday recipes that would please the crowd. And Christmas is the greatest holiday of the year, don’t you agree? 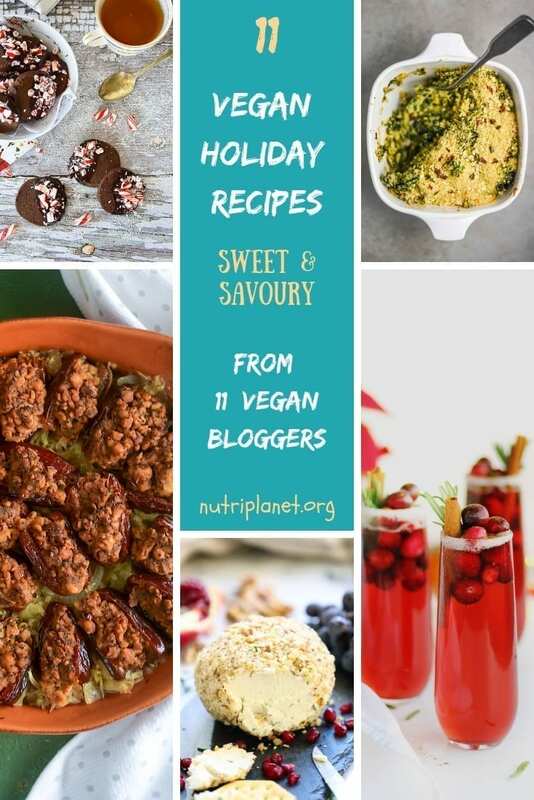 At least most people get involved when the holiday season begins and the lights and songs are turned on 🙂 I’ve created this awesome Christmas recipes’ round-up with 10 other vegan bloggers to make your life easier when choosing easy vegan recipes for your Christmas dinner. Here are 11 awesome and healthy recipes for your vegan Christmas dinner: from mocktail and side dishes to comforting lasagna and flavourful gingerbread cake. All the recipes below would also be a perfect match for vegan Thanksgiving (except for the gingerbread cake). 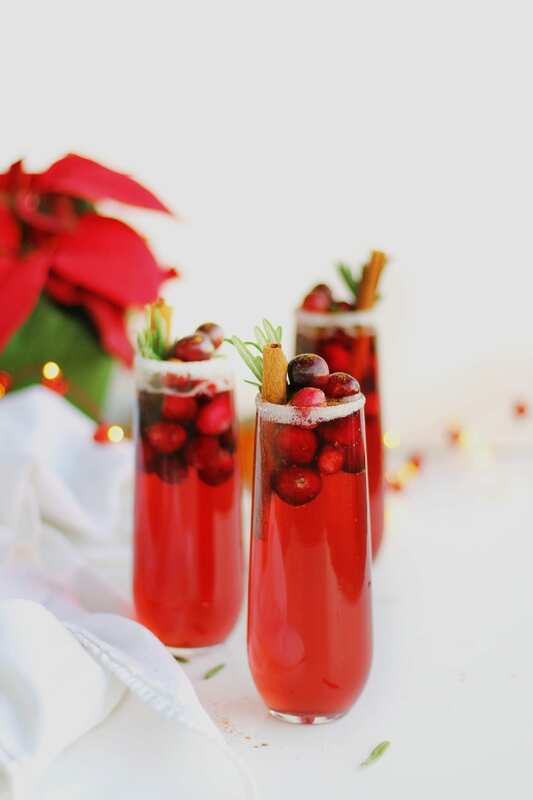 Wouldn’t it be perfect to start off your Christmas dinner by sipping on this beautiful mocktail while chatting with friends and/or family you haven’t seen for ages? 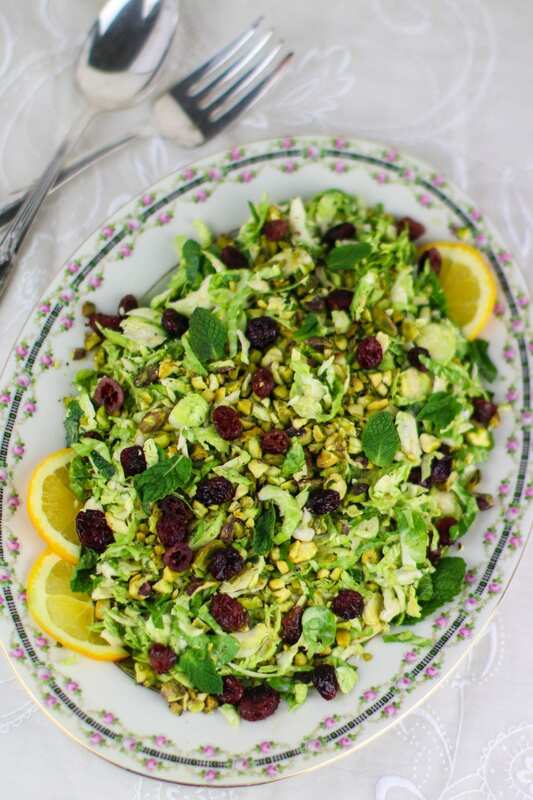 This vegan Brussels sprouts salad with oil-free citrus vinaigrette, pistachios and orange-infused cranberries makes a scrumptious side dish or appetizer to your vegan Christmas dinner. 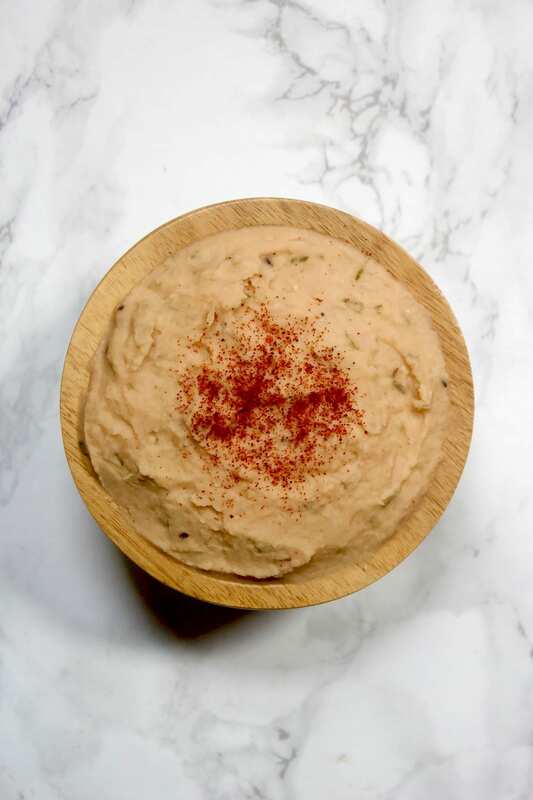 Here’s another delicious appetizer to add to your vegan holiday recipes. Let’s move on to cheeses! 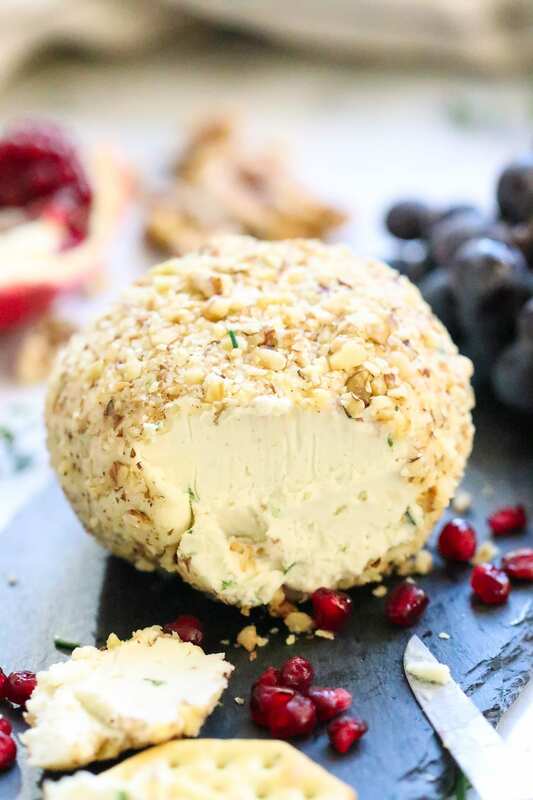 Yes, vegan cheeses are right on spot when it comes to vegan holiday recipes. What’s a vegan Christmas dinner without a tangy cheese anyway? We are not done with vegan cheeses yet! 🙂 Here’s another one for you to try out and add to the list of vegan holiday recipes. 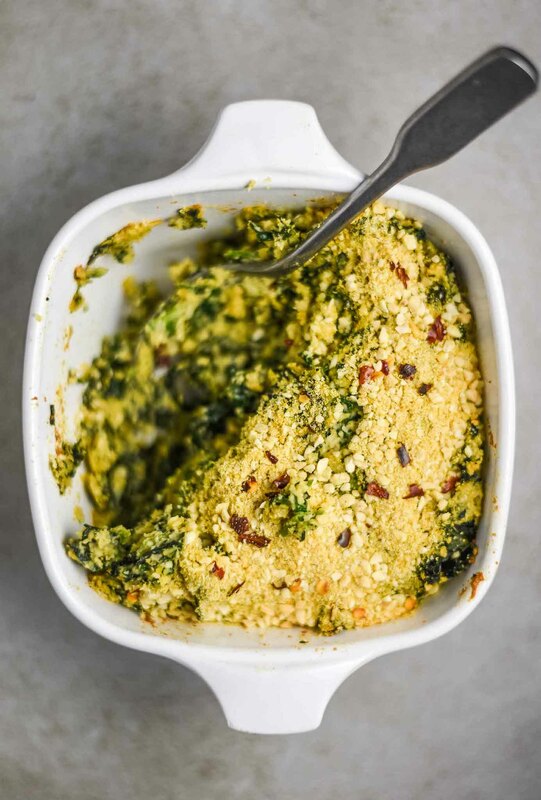 I think that every vegan holiday recipes collection is only richer when there’s a high-protein mashed potatoes alternative in the list. 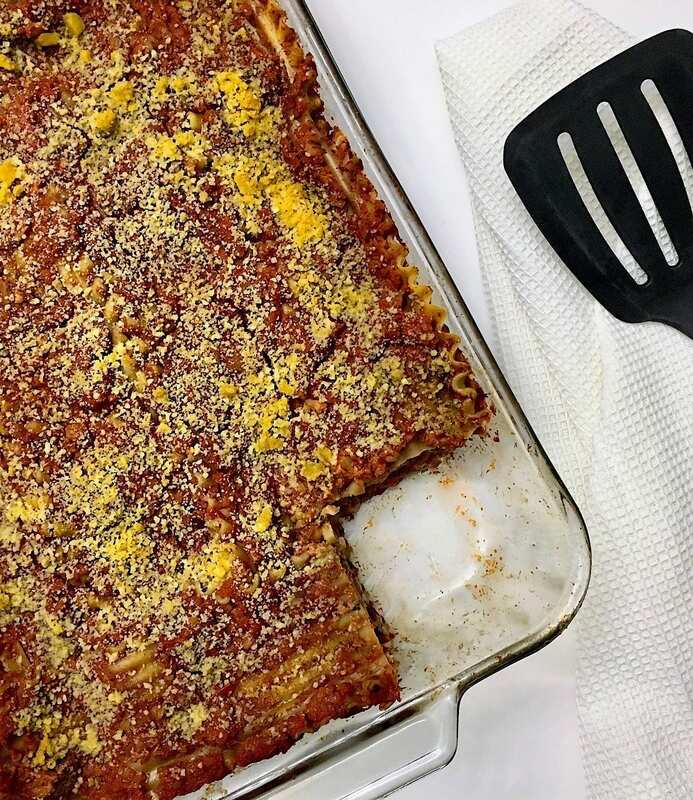 Here’s the ultimate comfort food for your vegan Christmas dinner – vegan lasagna! 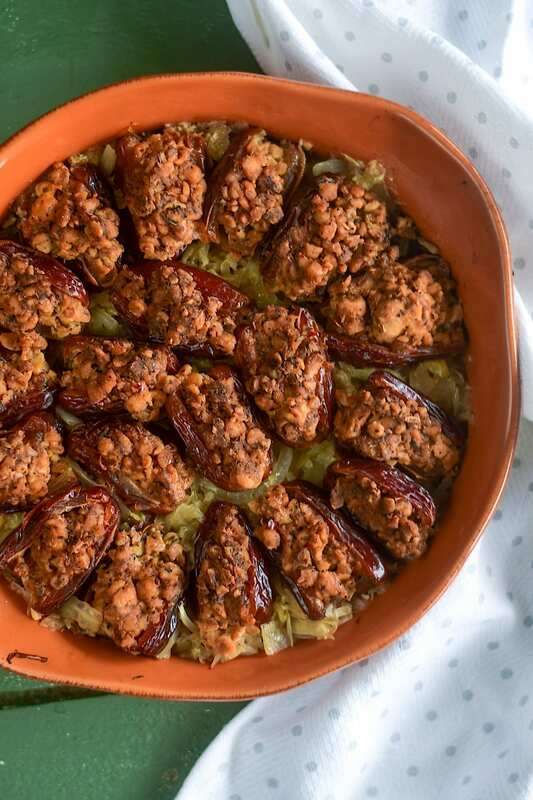 Those veganized sausage stuffed dates will be such an eye-catcher on your holiday table – a delicious combination of sweet and savoury! Let’s move on to the sweet side of our vegan holiday recipes! 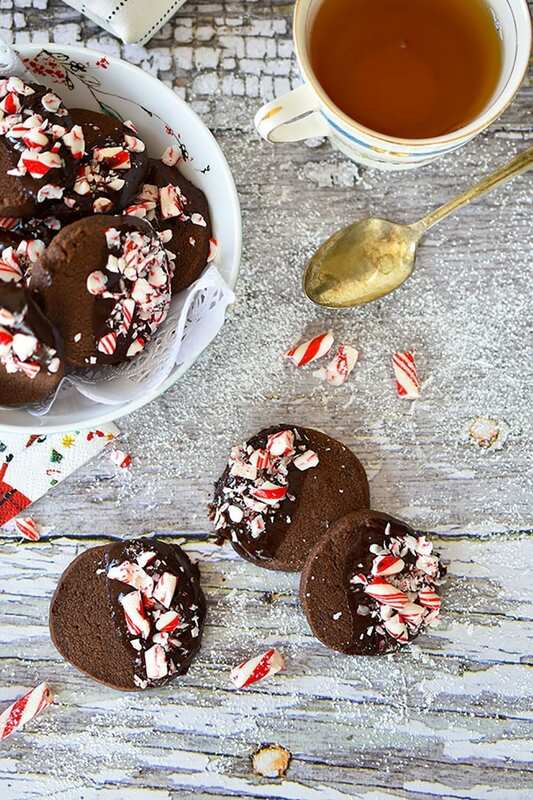 Have a few of those divine vegan chocolate peppermint shortbread cookies to end your delicious Christmas feast! And what’s Christmas without heavenly gingerbread flavour! I give you my very own sugar-free no molasses vegan gingerbread cake that is as healthy as it is delicious. 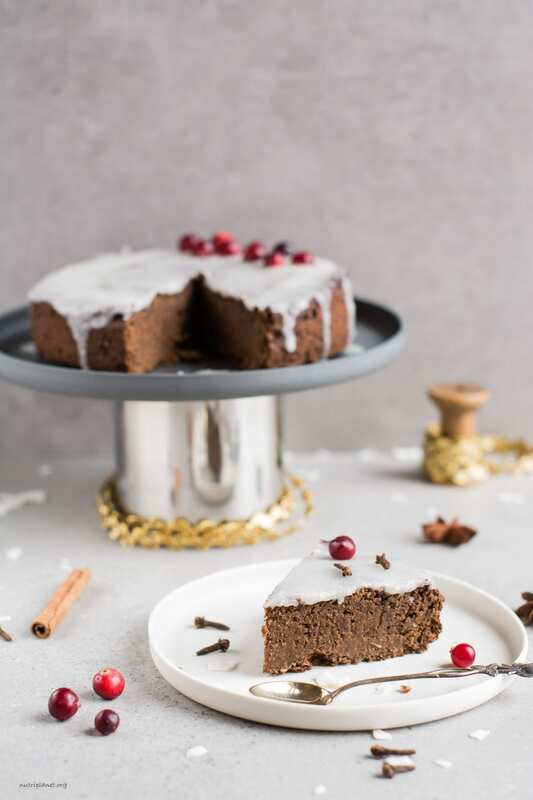 This cake is a must-have in your list of vegan holiday recipes! 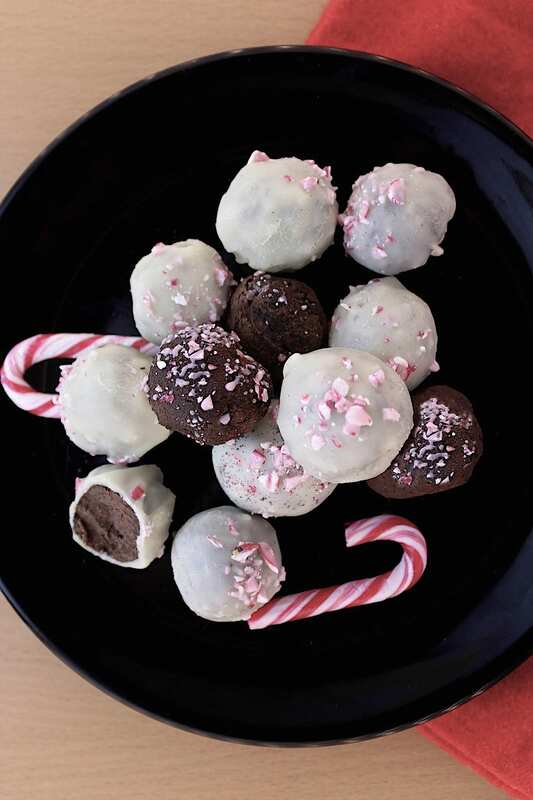 And last but not least, a perfect bite for those already too full from eating your delicious vegan Christmas food 🙂 I’m sure there’s always some room left for one of those candy cane truffles! Thanks for reading! 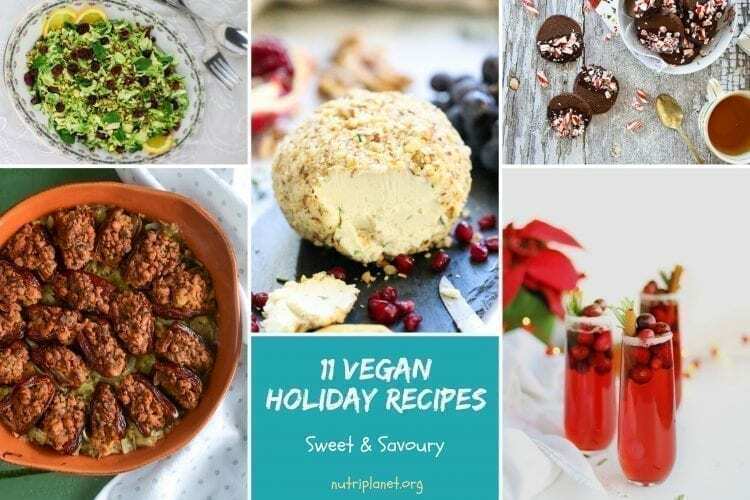 I hope you found some vegan holiday recipes that will find their way onto your Christmas table 🙂 So that you can get busy in the kitchen already on December 23! Which one is your favourite? Let me know in comments below!